Diane is the first U.S. born American citizen in her family. Growing up, she only spoke Vietnamese in her house and didn't actually learn English until she started school. In fact, her parents didn't want her to go to school because of her lack of English. It wasn't until her older sister fought for her to go to school that she was allowed to go. 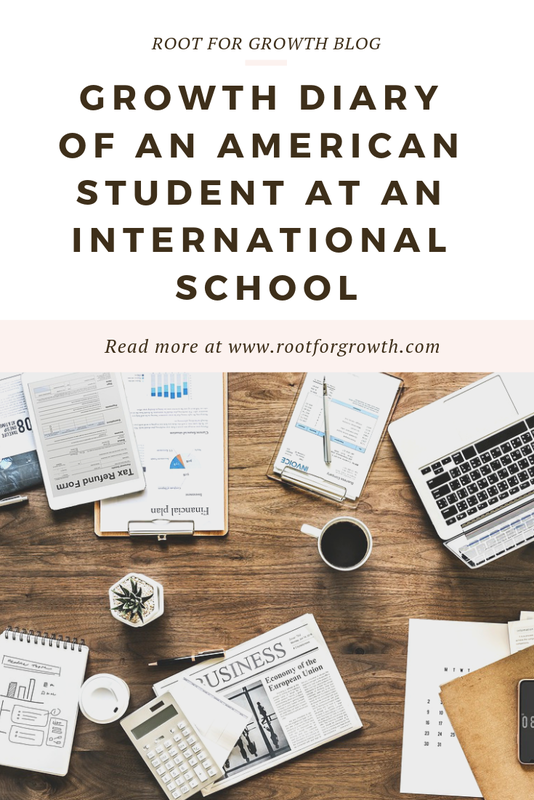 Once she started school, she learned English fairly quickly and was quite proficient at it, and it was then she learned that she had a love for learning and competition. "People will always challenge you so you can always try to surpass their expectations." She describes her upbringing as the best of both worlds. She would eat pho whenever her mom made it, speak Vietnamese, and watch the Vietnamese YouTube videos her parents would put on at home, but still have the typical American upbringing when she was outside of her home, like going to cheerleading practice and going to school dances. You know, that kind of stuff. Diane started cheerleading when she was 11-years-old. This changed Diane from being the once shy, quiet kid who was scared to voice her opinion to a Diane who is more extroverted and knows how to speak up for herself. Cheerleading gave her a community to fall back on and opportunities to socialize that she might not have had if she had just gone home after school, which is why she loved the sport so much. She continued this sport throughout high school and added tennis as another extracurricular that she loved onto her list. Although she doesn't cheerlead or play tennis anymore, there was one thing that she fell in love with in high school and stayed with her even to this day - makeup. Even though she wore makeup for cheerleading, it wasn't until she started watching YouTube videos in high school where she realized how creative and fun it could be. "When I wake up, one of my favorite things that I look forward to is to do my makeup because it's time that I dedicate to myself, I can be creative, and it's fun...And you can wash it off. So it's like, 'Oh, I'm back to myself. That was something different.'" The way she sees it, doing her makeup is investing time in herself. For her and for many others, makeup is part of her self-care routine, which is why she loves it so much. And, like cheerleading and tennis, she fell in love with the community behind it. She knows that if she were to talk about this new lipstick that she got with someone who loves beauty and cosmetics, too, there would be a sense of excitement behind the conversation. 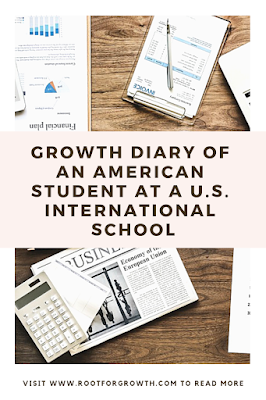 As Diane graduated high school as part of the top 20 in her class and moved into college, she found herself as a part of a leadership program called the Intercultural Leadership Program. She took classes that honed her leadership skills and eventually became a mentor/tutor. Here, she learned how much she enjoyed teaching. She continued tutoring throughout her entire undergraduate career. "From being a tutor and coaching cheerleading, I learned that I love learning and I love teaching. 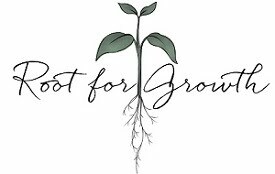 I love being able to communicate and help foster growth with people from my experiences... [I would love] Being able to use my experiences and my level of education to give back to the community and teach business or finance or something like that." She didn't stop tutoring there, though. She continued tutoring even now as she is pursuing her double masters' program in International Business and Finance. 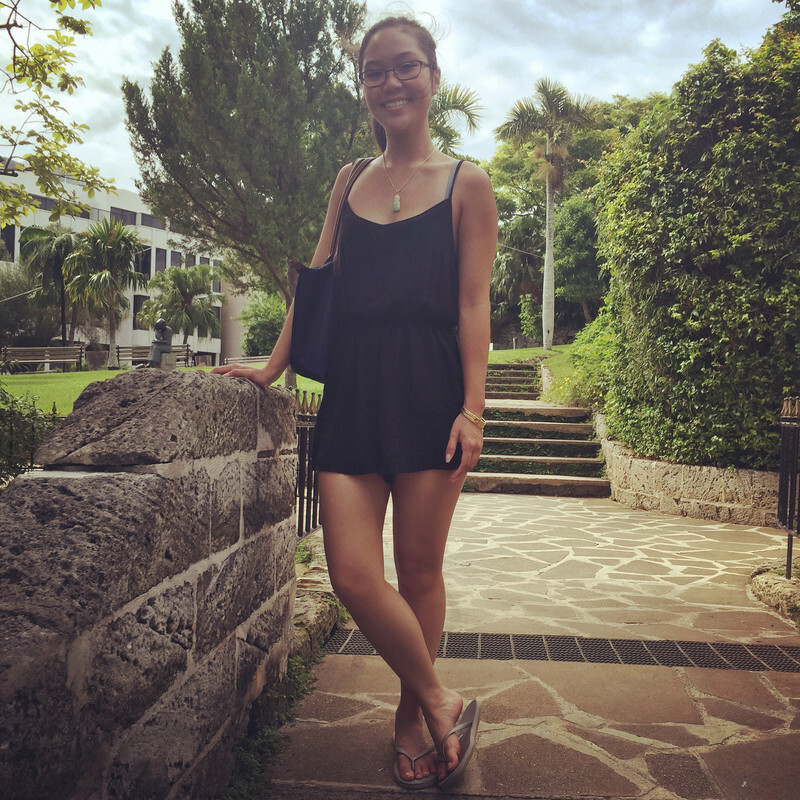 As time went on, she realized how much she valued learning, teaching, and education and that she wanted to become a college professor - a profession where she can connect with and foster growth in other individuals with her experiences. From her story so far, you probably tell that Diane is extremely driven and ambitious. And, you're not wrong. She is. She also tends to be a perfectionist, too. All of these qualities put together is a recipe for anxiety and negative self-talk. But, luckily, Diane is aware of this issue and is actively working on practicing positive self-talk and self-confidence. She has been using visualization as a tool to combat her negative thought processes. In fact, two of her dreams happened through this method. Since then, she's become a strong believer in visualization and writing down your goals because it's more likely to happen. In addition, she's working on changing her mindset from, "What's wrong with me?" to "What did I learn from this?" Making a more positive spin to a negative situation. Although she's working on it, she has come a long way from where she was before. "I've become more of a positive self-talk person to push myself because I feel like it's so easy to succumb to the negative self-talk, rejection, and small things like that enter your life and that makes you depressed and unconfident." Another personal thing that she's working on is becoming less passive aggressive and learning how to deal with confrontation in a more productive way. Moving onto her professional goals, she's currently looking for an internship in consulting and wants to become a strategic consultant or financial consultant in the beauty industry. If you don't know what that is, I got you. She wants to be able to consult for a beauty company that is having financial issues and figure out what's wrong and how to grow from that point. Long term, she wants to get her Ph.D. before she's 30 and work as a college professor. To learn more about Diane, check out her Beauty Unmanaged blog and her Instagram. How did you become more self-confident? "I think it's just finding what I loved because I feel like when you find things that you love, you become more confident and I feel like that affirmation spreads into different parts of your life. When I found the beauty community, when I did cheerleading, when I did tennis, these were things that I loved and I built a community around it. And, that showed me that I can speak up about it because now I know about it and it's something that I like to do, something that I like to pursue, and I become confident in that way. Even now, my career, pursuing teaching and education because education is something I value so much. Knowing that has built my confidence in being able to say, 'Yes I would love to be able to teach and share my experiences.' ...And words of affirmation, saying myself, 'Yeah, it's fine you can do it. It's not big of a deal.'" What's your life advice to people? When people say that they think they have dreams, don't be afraid to aspire to have them. I never thought that when I wrote down that I wanted to go to London, I did not think that was going to happen or when I wrote down I want to get my master's, I never knew that was going to happen. 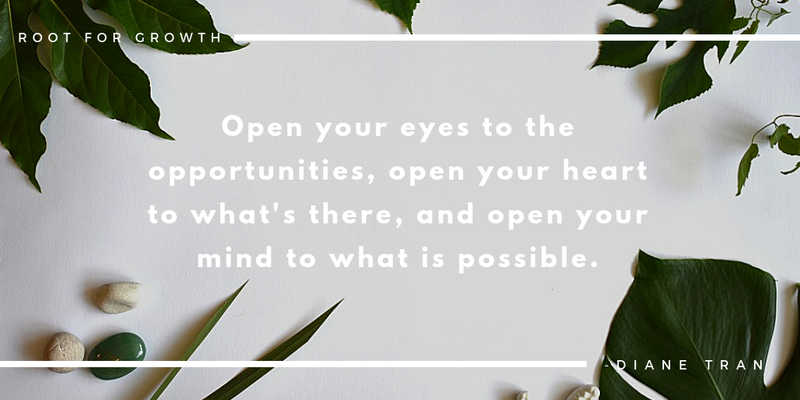 So, open your eyes to the opportunities, open your heart to what's there, and open your mind to what is possible. Take advantage and be aware - physically aware, mentally aware, and emotionally aware what's happening around you because opportunities can pass by you if you're not aware. If you close yourself off, you're not going to see it." 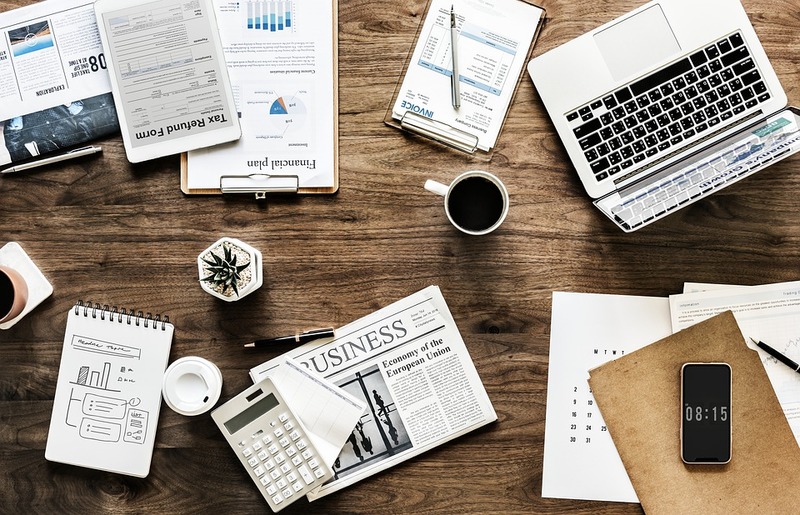 "My future self, if I had to picture it, I picture a 40-year-old lady who just got her Ph.D. who has had so many years of experience working in a consulting company in a higher position but now I'm ready to settle down to go teach. I've already had my kids and family. I've already traveled the world. I've already seen enough and now I can share my experiences." If you liked this post, share it with your friends through Pinterest, Facebook, and/or Twitter! If there is someone who you think should be interviewed, share it in the comments below.